When looking for a great eco-adventure, heading to a river is not normally on the top of the list. Some think first, waterfalls or a hiking trail or even exploring a cave. But a perfect blend of Trinidad’s mountainous geography and heavy rainfall half of the year, makes for some awesome river adventures. Here are 5 of the best river adventures you can have on the island. This group tour takes you on a hike to Avocat Waterfall - one of Trinidad's finest and most beautiful waterfalls. 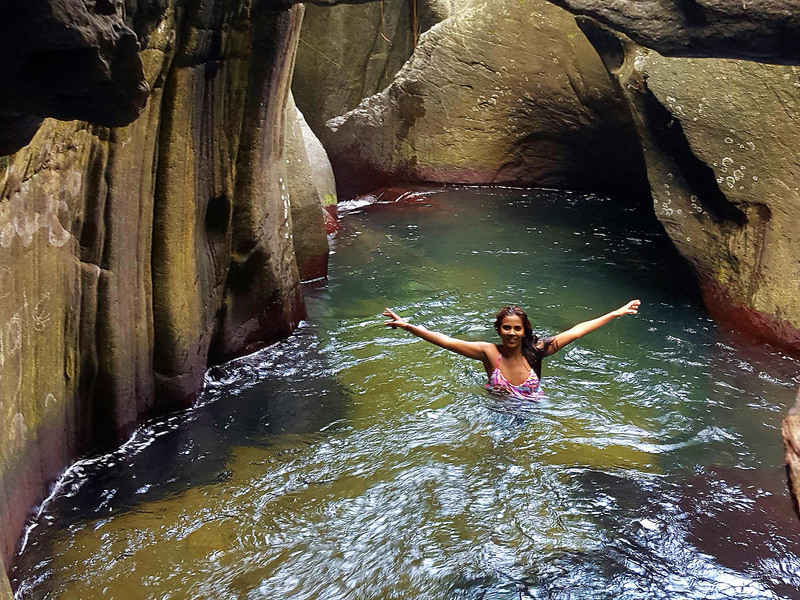 Discover one of Trinidad's finest and most beautiful waterfalls. Journey along the scenic north coast of Trinidad to the village of Blanchissuese where your adventure begins with a short 30-min hike. Avocat is a 50 ft waterfall with a plunge pool at its base. This breathtaking waterfall, hidden in the mountainous area off the Arima/Blanchisseuse Road, is an awesome water adventure. At the waterfall you will enjoy its pool for swimming, rocks for climbing and deep plunge pools for relaxing - all the while being gently massaged by cool mountain waters. This is an ideal tour for families and children. 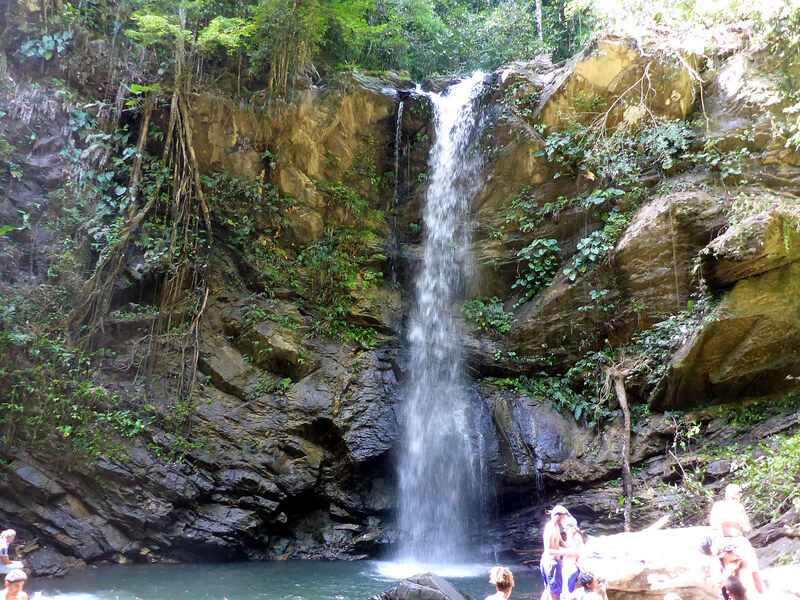 Come discover one of Trinidad's most beautiful waterfalls on Sun 14 April for and exciting hike to Avocat Waterfall. 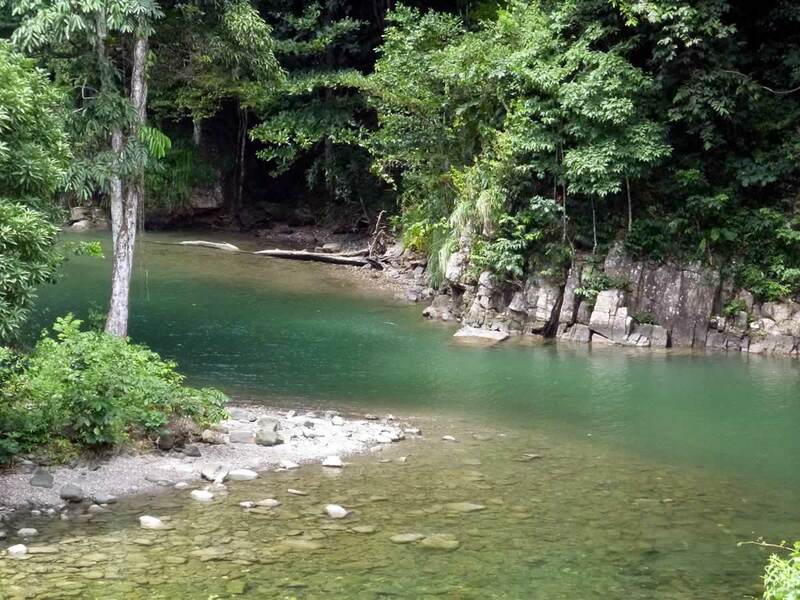 Shark River is beautiful river destination that is ideal for a good ’Trini’ river lime. With many shallow spots for wading complemented by deep crystal clear pools for swimming, it is a river that everyone can enjoy. Shark River is beautiful river destination that is ideal for a good ‘Trini’ river lime. With many shallow spots for wading complemented by deep crystal clear pools for swimming, it is a river that everyone can enjoy. The clarity of the water is astounding and in deep areas, the surrounding lush vegetation gives the water an amazing emerald green tinge. Shark River, is so named because at one time visitors would witness sharks swimming up the river from the nearby Caribbean Sea. But have no fear, this has not occurred for some time and it is safe to swim in the beautiful water. Located between the villages of Grand Riviere and Matelot, it is a lovely destination to spend a relaxing day. Unlike many other river lime destinations, the banks of Shark River are equipped with concrete seating and tables for those who wish to have a meal. The more adventurous can explore upstream where you will discover various pools, gorges and waterfalls. This is a fantastic river adventure with three large pools to swim in, a 25-foot rock to jump off and natural water slide. A twenty-minute walk up the Marianne River in Blanchisseuse brings you to 3 Pools a thrilling river adventure. As its name suggests, this river destination features 3 deep basins that were formed as the river plunged across a plateau over a steep rock shelf. The hike to the pools is rated 2 (out of 5, 5 being the hardest) so it is suitable for all ages. The first pool features shallower waters and is ideal for wading and non-swimmers. Between the first and second pools one finds a naturally formed water-slide that adds a great fun element. The 3rd pool is where the adventurous finds the greatest enjoyment. One can climb the nearby rocks and jump 15 feet in the pool below. 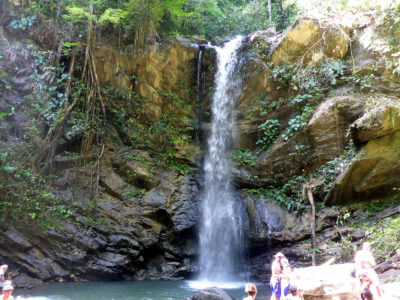 A visit to 3 Pools can be combined with a hike to the nearby Avocat Waterfall. You can either begin at the waterfall and following the river to the pools or first going to the pools and then continuing up river to the waterfall. The Covigne Gorge traverses a branch of the Cuesa River through the remnants of a cocoa and nutmeg Plantation once known as the Macqueripe Estate. An invigorating walk up stream through a 30ft high gorge and over rock brings you to a plunge pool. 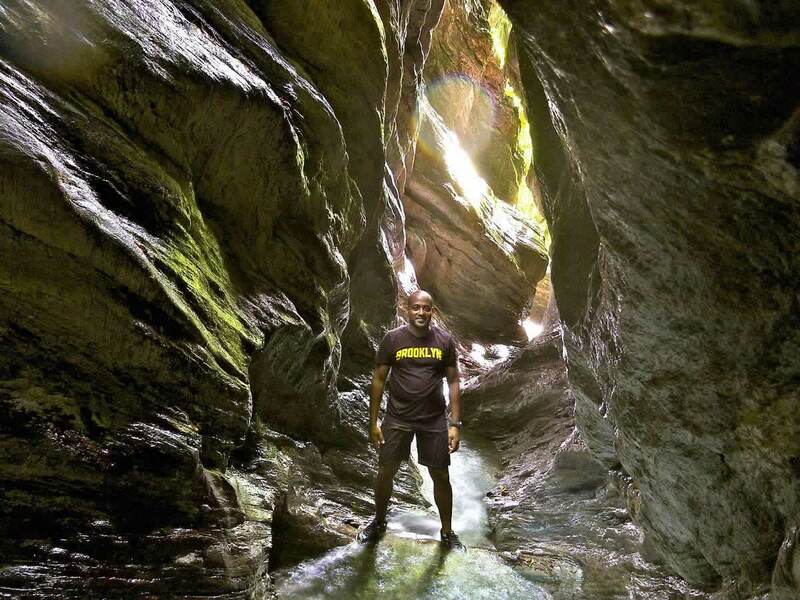 This hidden gem located deep in the Tucker Valley in Trinidad was carved out of the mountain rock by a branch of the Cuesa River which winds through an old cocoa and nutmeg plantation. A popular hiking destination, the trip to the gorge can take just about an hour as you walk through the undergrowth and then up along the river bed. The wet rock reflecting the sunlight that slips through the forest canopy above makes for a spectacular sight as the surrounding thick greenery combines to produce rich shimmery gold-green hues. But the real treat is at the end of the trail where an invigorating rope-assisted climb up the rock face brings you to a waterfall and plunge pool where you can take a revitalising swim in the cool fresh mountain water. Along the way you are constantly intrigued as you encounter a variety of insects including caterpillars, spiders and ants. But best of all, you are occasionally greeted by emperor butterflies that flutter by as you trek to your destination. The Caroni Swamp and the Bird Sanctuary is the home to Trinidad and Tobago’s Scarlet Ibis bird. 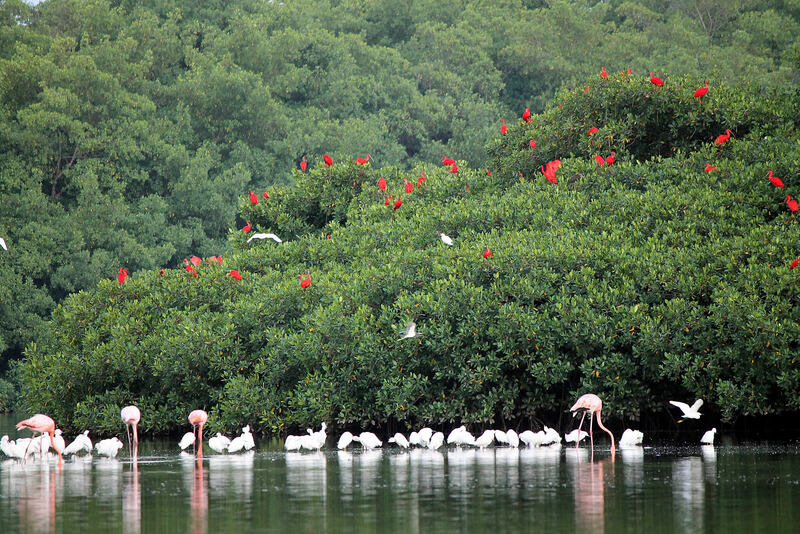 In the afternoon around 4pm a beautiful scene unfolds as the Scarlet Ibis returns in numbers to nest in the mangrove. The 12,000-acre Caroni Swamp and Bird Sanctuary is the natural nesting home of the Scarlet Ibis bird, one of the national birds of Trinidad and Tobago. The other is the Cocrico, the only game bird native to Tobago and is not found in Trinidad. The major attraction at this mangrove is the opportunity to observe, close to sunset, the ritualistic roosting habits of thousands of these bright red birds. Many of the guides claim the birds travel daily to the Venezuelan mainland to feed, then return to the Swamp at dusk, a distance of about 11 miles. The mangrove trees provide nesting places for the migratory birds, making it perfect for birdwatchers. Flat-bottom boats conduct regular tours through the mangrove. If you’re staying in Port of Spain, then it is just a short 15 minute drive southward, where you can choose from numerous boat tour guides, who are well-experienced to spot many (if not all) of the 100 plus species of other birds, caimans, swamp boas and crabs of different species which also make the Swamp their home. The Caroni Swamp is the largest mangrove wetland in Trinidad. There is a maze of channels, some natural and some dredged, and motorized boats are not allowed. Although officially protected, the Scarlet Ibis population is at risk from poaching and pollution of the swamp and Gulf of Paria. There is an open pond area about 20 minutes distance inside where the boars gather so visitors can watch the ibis’ return while having some refreshment.